Lola Arias, poet, playwright and actress. She directed Familienbande (2009) about the life of a family with two mothers in the Munich theatre Kammerspiele and That Enemy Within (2010) in collaboration with two identical twins at the HAU theater, Berlin. I Fought with my twin, That enemy within, 'til Both of us fell by the way (Bob Dylan). We are all born alone but twins are born together. We all feel unique but the twins are doubles. Twins are an exception of nature that make us think about who we are. In Chile, she premiered El año en que nací (The year I was born (2012), based on biographies of young Chilean people born during the dictatorship. Melancolía y Manifestaciones (Melancholy and Demonstrations) (2012), is a journal about the melancholy of his own mother created in Buenos Aires and premiered in Vienna at the Wiener Festwochen Festival. Her last piece El arte de hacer dinero (The art of making money) (2013) is played by beggars, street musicians and prostitutes in the city of Bremen. In collaboration with the artist Stefan Kaegi , Lola directed Chácara Paraíso (Paradise Farm) , a biographical installation with Brazilian policemen, and Airport kids, a project about international children in Switzerland. Between 2010 and 2012 she participated in Ciudades Paralelas (Parallel Cities) , a festival with 8 interventions in public space that was held in Berlin, Buenos Aires, Warsaw, Zurich and Copenhagen. Along with Ulises Conti, she composes music and plays live. 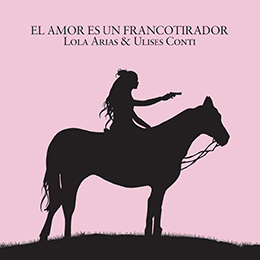 Lola recorded the album El amor es un francotirador (Love is a sniper (2007) and Los que no duermen (Those who do not sleep (2011). 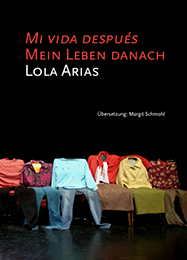 Lola published poetry, theater and narrative: Los postnucleares (The post-nuclear) (Emecé), Striptease, Sueño con revolver (Dream with a revolver) , El amor es un francotirador (Love is a sniper (Entropy), Poses para dormir (Sleeping Positions ) (Anthology dramaturgies ,Entropy. ), La familia escuálida ( The squalid Family ) (Libros del Rojas) and Las impúdicas en el paraíso (The unchaste in paradise) (Tse-tse). Three years ago, Lola was been invited to participate in an event held in London called After the War. 25 worldwide artists participated in a play that was to depict the consequences of war. Lola presented a video installation. She was looking for statements. Her first reference was the book Partes de Guerra (Parts of war) of Graciela Esperanza. From one side and the other of the Atlantic, she added parts to a story which se wanted to become a dialogue. 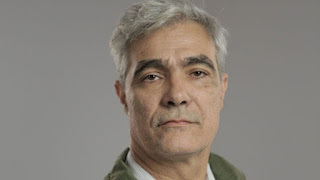 Lyn Gardner in The Guardian states that according to Lola, the people who went to fight there were not defending a personal ideology, but simply doing a job for their country. 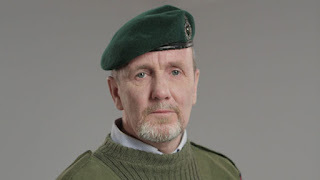 Dr. David Jackson is a former Royal Marine and during his time in Malvinas he served as a Corporal Signaller in the 3rd Commando Brigade under the orders of Brigadier Julian Thompson. He spent the war in the back of a truck listening and transmitting radio messages. When he returned, he found that his wife had deceived him and divorced. 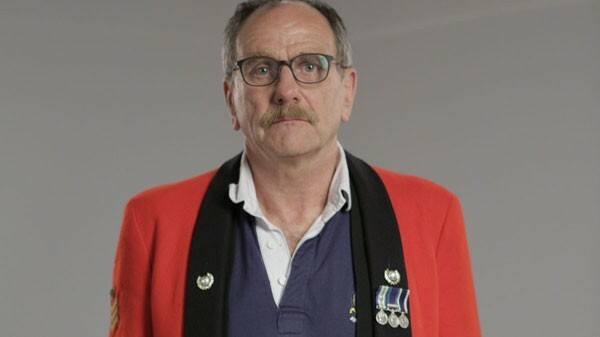 Jackson was diagnosed with PTSD and after a medical discharge from Royal Marines in 1995 he trained as a counselor and life coach and he worked within the profession for 14 years. 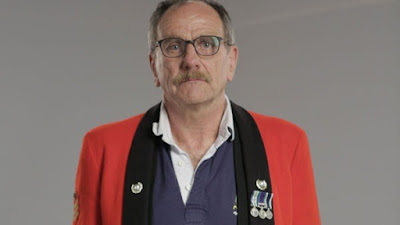 He studied psychology with the Open University and graduated in 1995 with a BSc(Hons), In 2002 he completed his MA in counselling studies at the UEA writing an autoethnographical exploration of his PTSD. 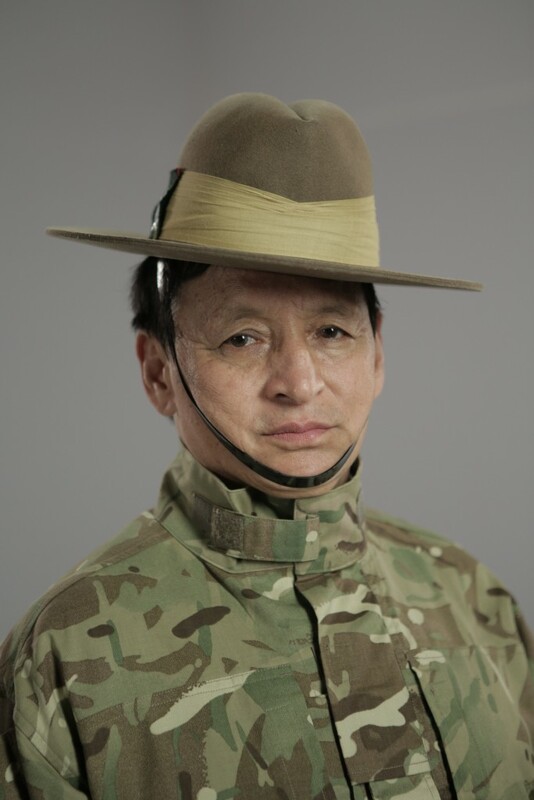 Sukrim Rai was part of the , 1st Battalion, 7th Duke of Edinburgh's Own Gurkha Rifles during the conflict. He was in the first line and also addressed accompany doctors helping the injured and recovering the dead. After Malvinas served worldwide: Australia, Hong Kong, United States and Brunei. When he finished his career in the British army he became a security guard in Iraq. He was the last to arrive in Buenos Aires. While being in our city he could meet at the author´s home with Brigadier (Ret) Jaime Ugarte with whom he shared an emotional story in Egg Harbour Place. 14 (See A Nepalese Friend ). As a conscript, he was a crew member of the cruiser ARA General Belgrano which torpedoed by the submarine HMS Conqueror (See The cruiser) 12. He spent 40 hours on a raft with more than twenty people at temperatures of - 20 ° C. Today he has a printing press and a band tribute to the Beatles. 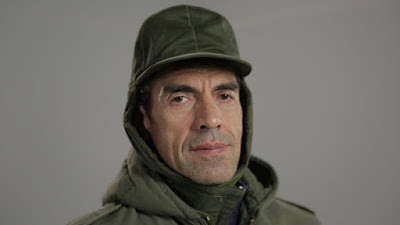 Always plays with a shirt that says: "The Malvinas are Argentine" because he doesn´t want anyone to think that because he sings in English he is not claiming the islands. Former Sergeant David John ´Lou ´Armour served as Corporal when the Operation Rosario took place on 2 April 1982. Naval Party 8901 at this time comprised just 42 men. Corporal 'Lou' Armour, commanding '1 Section', was positioned at Hookers Point when the Argentines disembarked. Shortly after the attack on Moody Brook, he was ordered to withdraw to Govt House, meeting up with Corporal David Carr's section along the way. He was captured, sent back to Britain and, with the rest of his comrades, returned to the South Atlantic to join up with the Task Force. Corporal Armour returned to the Falklands with his unit, “J” Company, 42 Commando, as part of the Task Force aboard the Canberra. He held in his arms an Argentine military in his last minutes of life. Upon his return he left the army. It remains for me to congratulate the Director Lola Arias for her outstanding work which is a step toward reconciliation between Argentine and British war veterans and send a big hug to the whole cast. Arias, Lola-Cuando la educación se pone en escena-La Nación 15 de Mayo de 2016. Cruz, Alejandro-Los días después de Mi vida después-La Nación-14 de agosto de 2010. Cruz, Alejandro-El campo minado de la historia-La Nación 2 de abril de 2016. Frías, Miguel- Malvinas: Ex combatientes argentinos e ingleses reunidos por el teatro. Revista Vivas-Clarín-8 de mayo de 2016. Lingenti, Alejandro-Los subsidios oficiales son miserables-La Nación 13 de octubre de 2013. Lola Arias- Una exploradora de la escena-La Nación- 24 de marzo de 2016. Vallejos, Soledad-Lola Arias: La ciudad te entrena para ser indiferente-La Nación 13 de julio de 2013.